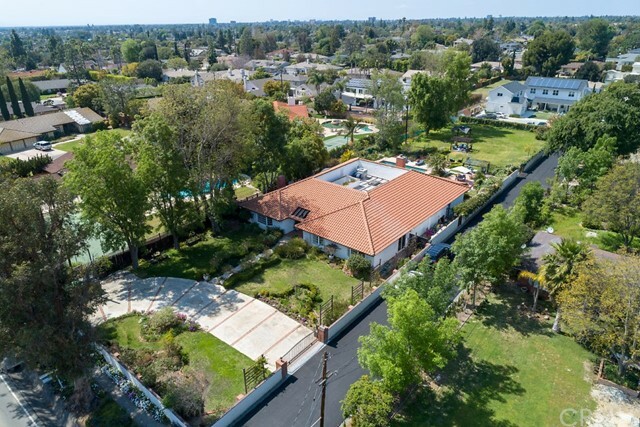 All North Tustin homes currently listed for sale in North Tustin as of 04/24/2019 are shown below. You can change the search criteria at any time by pressing the 'Change Search' button below. 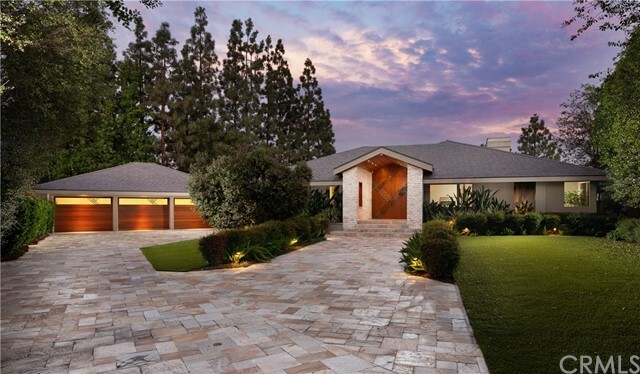 "One of the most beautiful offerings in North Tustin s acclaimed Racquet Hill neighborhood, this stunning John Lyttle built property is a wonderful representation of the renown visionary s timeless signature architecture. 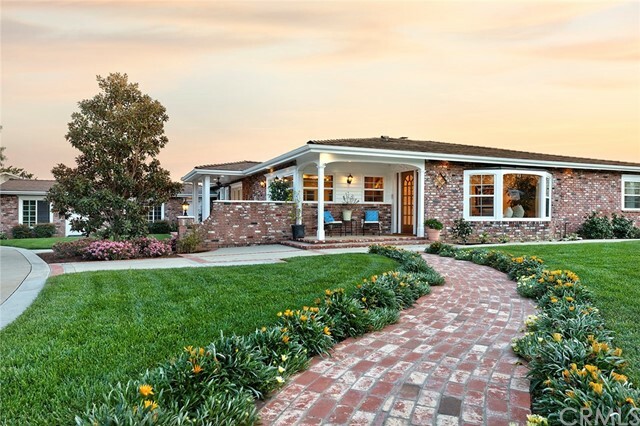 Extensive brickwork, manicured landscaping and a gated driveway complement the acre property s striking curbside approach. 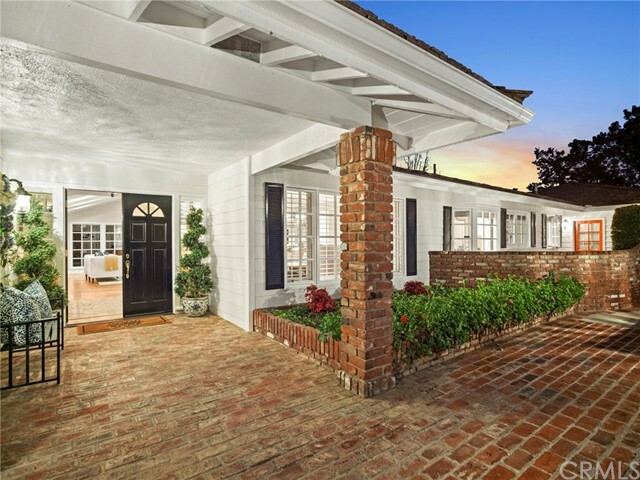 Double entry doors open to the welcoming designer appointed interior reflecting a classic California flair with details such as wood beamed ceilings, beadboard wainscoting, hardwood floors, grass cloth wall paper, wall to wall French doors & windows & extensive custom built-ins. 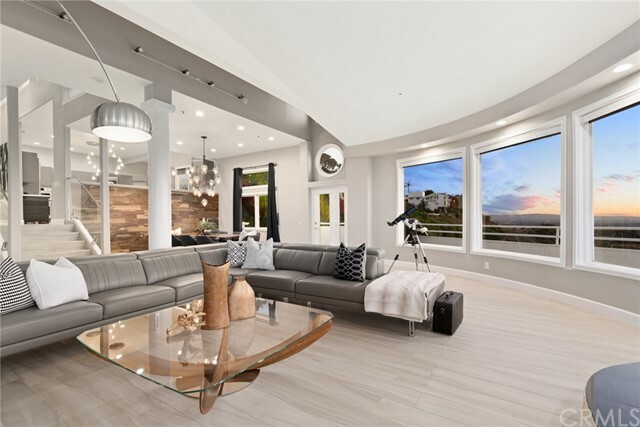 The living room with peek views & custom mantled fireplace with Carrera marble fa ade flanked by custom built-ins, overlooks the picturesque yard with various brick patios, gazebo, pool, spa & firepit surrounded by mature trees & blooming gardens. There is also a large formal dining room, gorgeous remodeled kitchen featuring Pental Lattice quartz countertops, subway tile backsplash, stainless steel appliances, newer cabinetry & breakfast nook with built-in banquette, plus an inviting family room with raised hearth fireplace, wet bar & media built-ins. 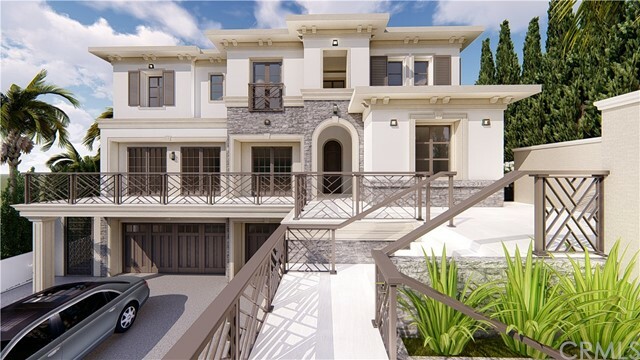 Four or 5 bedrooms & 3.5 baths include three with built-in desk units & window seats, a mud room/office & the master suite with customized walk-in closet, Carrera marble fireplace, sitting area & luxurious marble bathroom. 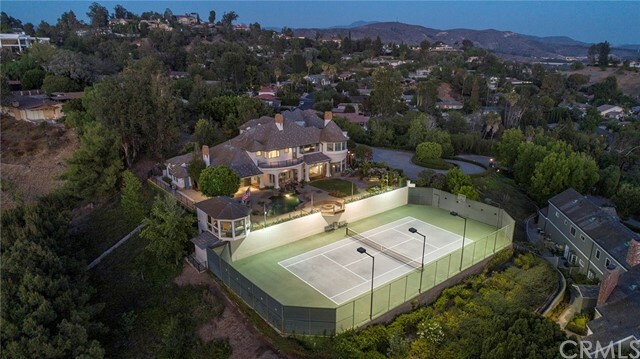 Other features include a 3-car garage, enclosed sports court area & indoor laundry room." 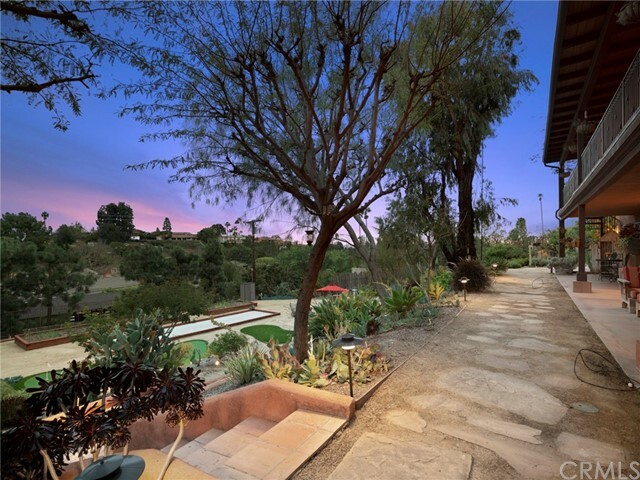 "* Panoramic views from this * 5671 * square foot custom estate located in highly desirable North Tustin on approx * 1/2 * acre lot. Featuring * 6 * Bedrooms * 6 * Bathrooms. 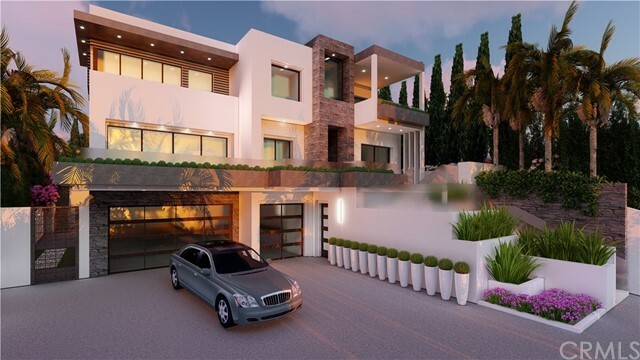 European architectural design, formal entry with high ceiling, granite floors surrounding the grand foyer with Spiral Staircase, crystal chandelier & double entry doors. 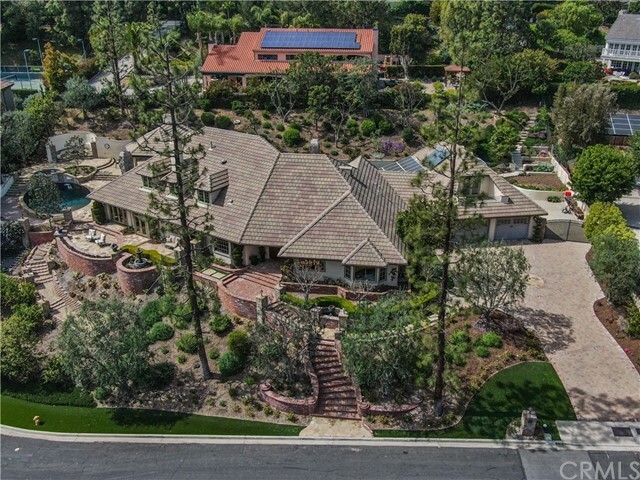 Ceiling has unique designs featuring coffered, hexagonal & domed in this luxury estate. 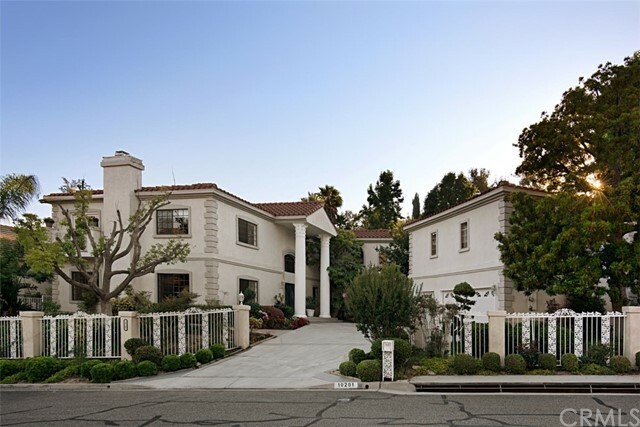 French doors opening to beautiful grounds, large balconies with breathtaking panoramic views, grand columns form the formal living area, adorn this masterpiece estate home built in 1992. 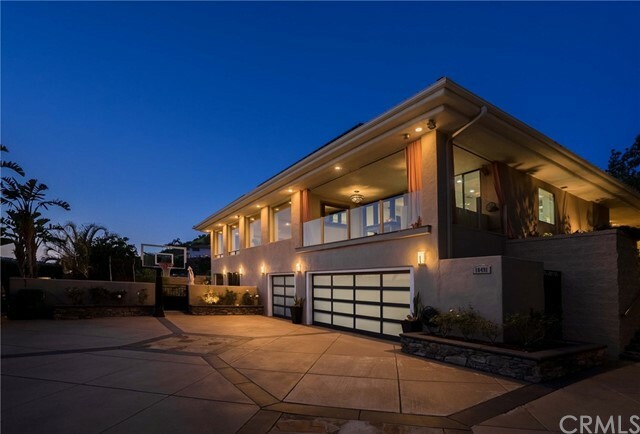 Designed interior with 2 master suites, a breakfast nook adjoins the gourmet kitchen offering granite counter tops, a large island, Viking stainless steel range & 2 dishwashers. Two first floor bedrooms are a guest & maid's quarters. Library/office is appointed with built-in cabinetry & hardwood floors. 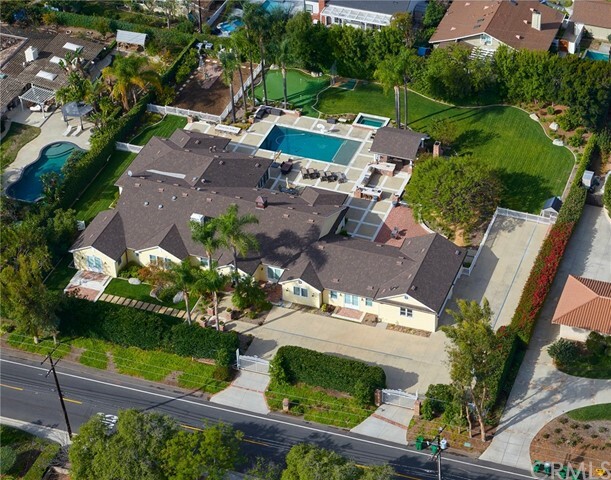 Gated & stately french-style inspired custom estate view home on one of the most sought after streets in North Tustin. 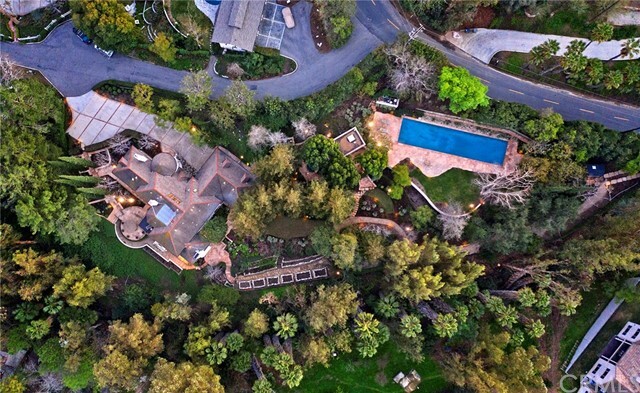 Sitting high on the professionally landscaped grounds with a large beautiful pool, spa, fountains, granite & stone BBQ bar, fire pit, fruit trees & large grassy area. 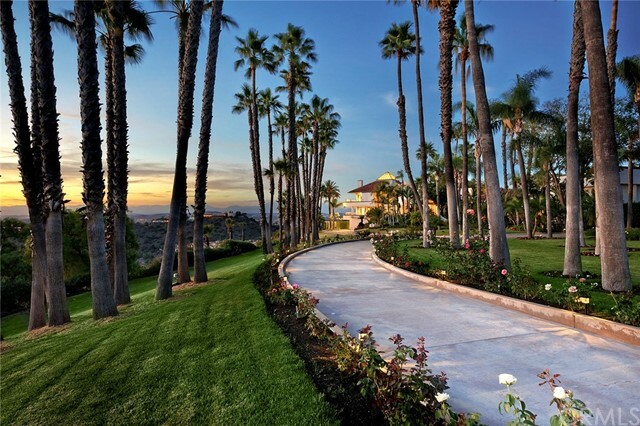 Three car side facing attached garage & large gated additional parking area for RV, Boat or guests." "Soaring above a canopy of trees with sweeping panoramic views of verdant hills, this unique home is an artistic expression of natural beauty. 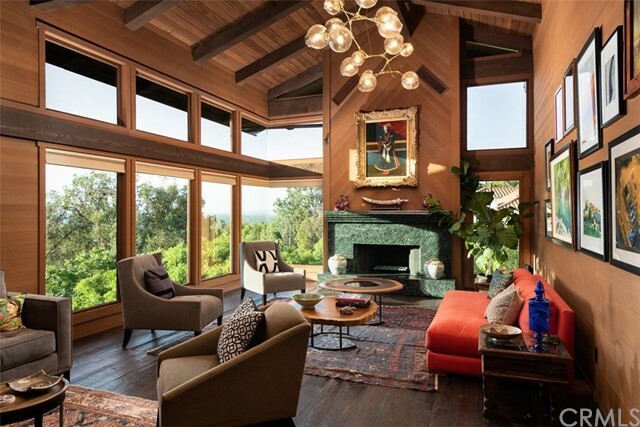 An interior finished in clear vertical-grain old-growth Redwood exhibits massive timbers interconnected into a structural network of rustic, yet modern, architectural details that create an impression of living in a treehouse. Recently remodeled under the direction of FoxLin Architects, the interior balances curving playful forms, floating horizontal lines, and splashes of vibrant color to counter the rigid geometries and warm tones of the wood. Each bathroom is a work of art, showcasing a different image of custom tilework, color, and modern design. The layout of the interior separates the house into wings for the master, kids, and entertainment spaces. Each wing is made private by a change in level and the effect is a floorplan that flows gracefully while mirroring the topography. Host a cocktail party in the living room where guests will marvel at the stunning corner windows, offering sit-down views of city lights. Chefs will love the kitchen with professional appliances and vast stone counter surfaces set among a striking array of custom Red Gum cabinets, all under a majestic timber ceiling. The master bedroom has a private viewing balcony, making it the perfect evening escape as the setting sun paints the sky in a riot of color and twilight reveals twinkling city lights. 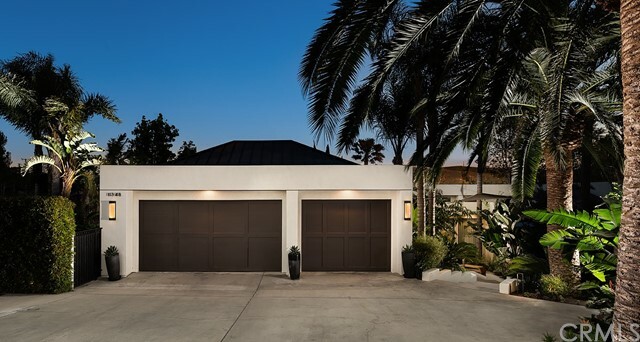 3-car garage. Blue Ribbon schools."